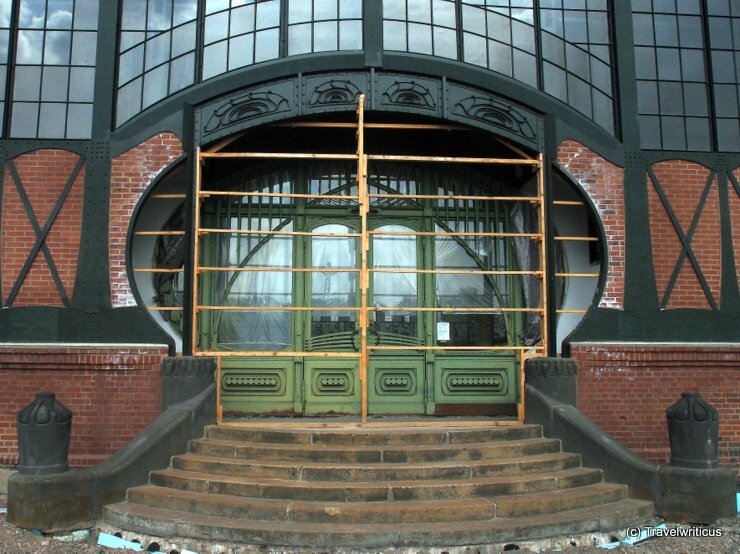 A fascinating detail of the Zeche Zollern, a colliery in Dortmund: The door at the machine hall is built in the style of Jugendstil (Art Nouveau). Unfortunately it was closed for renovation during my visit. This entry was posted in Art Nouveau, Industrial Heritage and tagged Dortmund, Germany, North Rhine-Westphalia by Travelwriticus. Bookmark the permalink.